A classic Vermont Bed and Breakfast, Nye\'s Green Valley Farm has welcomed travelers and visitors for nearly two centuries. 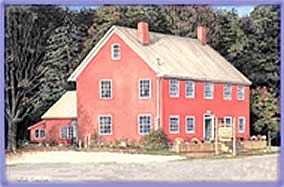 It was built and used as a stagecoach tavern in the early 1800\'s. My great-grandfather purchased the land and the house in 1867. My grandfather and his siblings were raised in this house, as were my father and his siblings. While it was not my residence, it has always been my \'home\'. My most wonderful childhood memories were made \'on the farm It was a working farm, guest house and home to the Nye family until 1975 when it was sold. 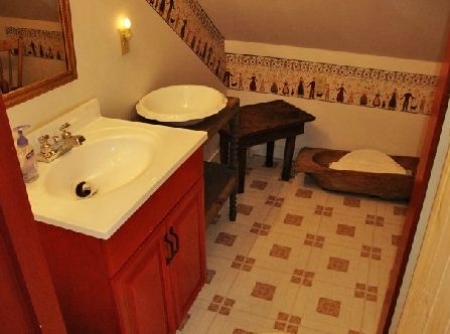 It was sold several times between 1975 and 1998. We were able to purchase the house on December 21, 1998 - happy day!!! The house was not well cared for prior to our purchase. There were numerous windows and doors broken. A leaky roof caused extensive ceiling damage and garbage was piled high in several areas. We wanted to take care of a house that had taken care of us for so many years…but mostly, we wanted to give this house its dignity back. After thousands of hours of work we were able to welcome our first guests in the fall of 2000. It was a proud and happy day! 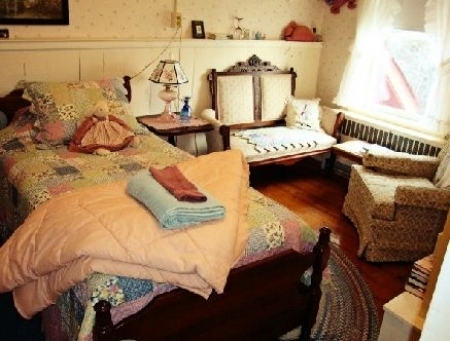 We are a small Vermont bed & breakfast with three guest rooms, each with air conditioning. Smoking is not permitted in the house. 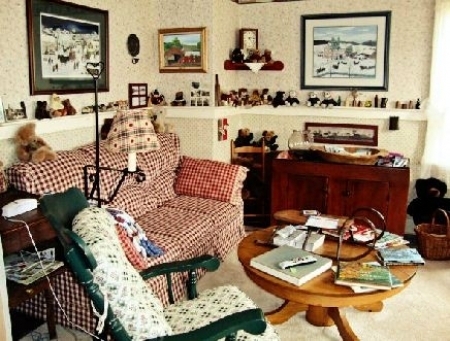 There is a downstairs TV room for everyone\'s use with a selection of videos in the cabinet. There is also a nice selection of CDs for your enjoyment. There are two other rooms downstairs to read, relax, rest or have conversation in. Guests may also enjoy playing the piano in the piano room. Breakfast starts as early as you want it to, but not later than 10:00 AM. I check with all guests to see what they prefer for breakfast. 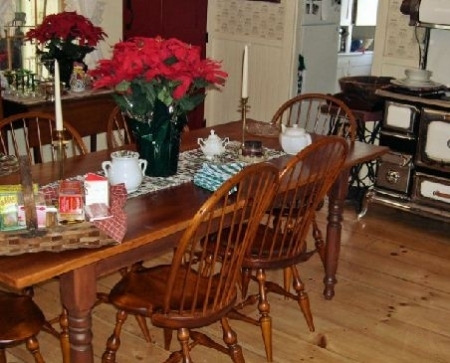 The menu includes pancakes of French toast served with locally made maple syrup, eggs, home fries, breakfast casseroles, hot and cold cereal, homemade breads, muffins, and fresh fruit. Coffee, tea and juice are available at all times. The grounds of our Vermont bed and breakfast are filled with flowers. Our sheep, goats and llamas are in the pasture to pat. There are sitting areas outside and campfires are built on summer weekends to enjoy. Whatever the season, there are numerous things to do in the Jeffersonville Vermont area. Each season brings with it its own uniqueness with special things to do. Smuggler\'s Notch Resort is less than 15 minutes way; Stowe is only 30 minutes and Burlington is an hour away.